It is with broken hearts that we, the family, announce the passing of our wonderful husband and father, John Joseph MacKinnon on Wednesday, January 30, 2019 at the Cape Breton Regional Hospital, Sydney. Born in Glace Bay, John was the son of the late Alexander and Sophie (Bernasky) MacKinnon. John is survived by his wife, Joan; children, John Allen and Janet Marie (Paul) Christensen; grandchildren, Allen (Heather) Christensen, Daniel, James, Samantha, Miranda, Heaven and Sean; great grandchildren, Brayden and Chloe; siblings, Sophie (Walter) Rice, Florence (Louie) Legault, Diane (Patrick) McKay, Alex (Winnie) and Mike (Wanda) as well as his extended family. Besides his parents, John was predeceased by his sisters, Cecelia and Elsie. John was a member of the Royal Canadian Legion Branch # 128, Whitney Pier. 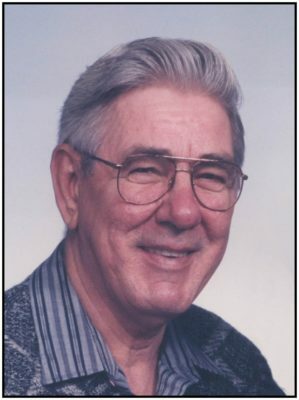 Visitation for the late John Joseph MacKinnon will be held on Sunday, February 3, 2019 at the Pier Community Funeral Home, 1092 Victoria Rd. (entrance on Church Street) from 2-4 pm and 7-9 pm. Funeral service to celebrate the life of John will be held in the funeral home on Monday, February 4, 2019 at 1 pm in the All Faith Chapel with Fr. Paul Murphy officiating. A light lunch will be served in the funeral home reception area following the service. The family would like to thank the staff of the Cape Breton Regional Hospital for the wonderful kindness and care of our husband and father, John. Thanks also go out to the staff of the Pier Community Funeral Home for going above and beyond in helping our family in this difficult time. A Private Family Interment will take place in New Calvary Cemetery, Whitney Pier. Donations in memory of John may be made to the Heart and Stroke Foundation. Condolences, thoughts & prayers going out to the MacKinnon family. Thinking of you all during your time of loss and sorrow. Rest In Peace, Johnny. Gone but not forgotten. I was sorry to hear of Johns passing and I forward my condolences to Joan and family. I had the pleasure of knowing John from the Chrysler Parts Depot where we worked.